- Removed unnecessary group inside Emulation Settings. - You can add your own game names database in "/sdcard/ColEm/names.dat". - ColEm now shows up in the Google Play for AndroidTV. Those wanting to purchase the gold $10,000 'Edition' version of the Apple Watch will have the blow to their wallets softened by being allowed to jump to the front of the queue. Customers can expect a unique shopping experience, skipping queues, and benefitting from a dedicated expert that’ll guide them through their Apple Store adventure, reports 9to5Mac. These VIP visitors will be able to try out the $10k device in a private room where they will be able to try out just two devices at a time. Potential Apple Watch buyers will also be able to video conference an Apple employee if they don’t want to visit the store in person. In other Apple news: The Silicon Valley company has secretly doubled its data centre site near Reno, Nevada. Apple now has two huge buildings on the site, providing twice the capacity of its initial large structure from one year ago. There is also around 345 acres of land reserved by Apple in total, giving it lots of room to expand. But it’s not all about Apple when it comes to spending, as chief executive Tim Cook has announced that he will be donating most of his vast wealth to charity before he dies. After he has funded his ten-year-old nephew’s college education, he will join the likes of Facebook’s Mark Zuckerberg and Microsoft’s Bill Gates on the Giving Pledge. According to Fortune Magazine, Cook holds £80 million in Apple shares, and £447 million of restricted stocks. His base salary is currently sitting at £6.2 million a year. Even if you're not laying down thousands of dollars for the VIP treatment, if you're looking for an Apple Watch (and you're shopping in old-school bricks-and-mortar style), you won't be able casually dip into an Apple store and get some new tech-laden wrist candy. Not so fast: according to training documents seen at MacRumors, there will be no walk-in sales, at least to begin with. Likely tied to rumored supply concerns about Apple's first wearable, customers will have to make an online reservation ahead of getting to buy it. Those that do will then then get to try on a watch and have a play between the pre-sales date of April 10th and eventual launch on April 24th. It won't be forever, however: according to the leak, Apple will likely offer walk-in sales of the wearable at a later date. Yes, the rumors of Apple expanding its trade-in program were true -- the company's stores (both online and retail) are now willing to take your competing smartphone in return for credit toward a new iPhone. If you live in France, Italy, the UK or the US, you can trade in certain Android, BlackBerry and Windows Phone devices (the BlackBerry Z10, Lumia 1020 and Nexus 5 are among the examples). We can't imagine that you'll be too eager to use this option -- you may either remain loyal to a platform, or can find a buyer who'll offer more -- but it could be useful if you're determined to ditch an old phone in an eco-friendly way. Just be sure to call if you're going to try this soon. We've reached out to a number of stores, and only a few were aware that non-iPhone trade-ins were live. It could take some time before every store is up to speed. Mobile devices may not be able to handle all of the tasks needed project ready for print, but they are certainly handy for getting work started. Back in the fall, Adobe launched Brush CC, Shape CC, and Color CC that allow you to quickly nab useful bits of smartphone photos for use in full-on desktop applications like Photoshop and Illustrator. 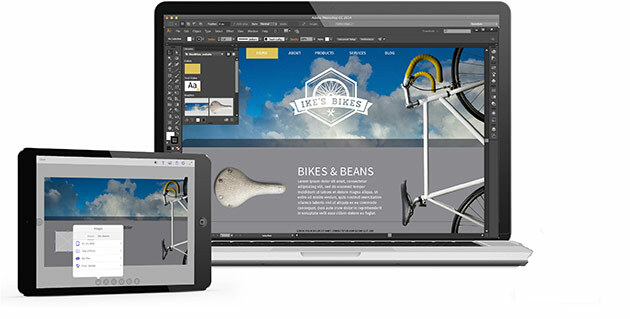 Today, the software company announced Comp CC: a new iPad app that pulls items from a user's Creative Cloud Library to get started on print, web and mobile app layouts while on the go. If you've been itching to try out a technical preview version of Windows 10 on your phone but didn't have a device on the short list, then we have good news. Microsoftjust released a list of devices that it expects to support in the next "flight" and it includes additional Lumia models like the 1020, 1320, 1520, 920, Icon and so on (the list is after the break -- it does not include the Lumia 930). It will be at least a week until the next update rolls out, but there's no specific date promised, and the list of supported devices could change. 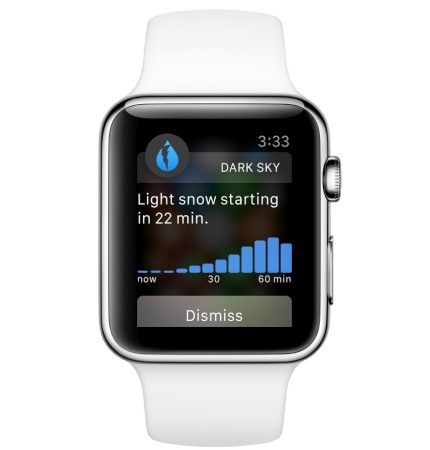 You can't actually buy an Apple Watch for another month or so, but Apple has already opened the gate for apps. 9to5Mac points out a slew of freshly updated apps, including Twitter, WeChat, Evernote and the weather app Dark Sky (shown above), among others. While regular developers won't be able to submit their wearable-ready apps until later, this select group is getting started early. There will be a section in the App Store just for the Watch, but if you can't wait until April 24th you can start getting ready right now. Live streaming apps like Twitter's Periscope and Meerkat are all the rage right now, but so far they've only been accessible to iPhone users. 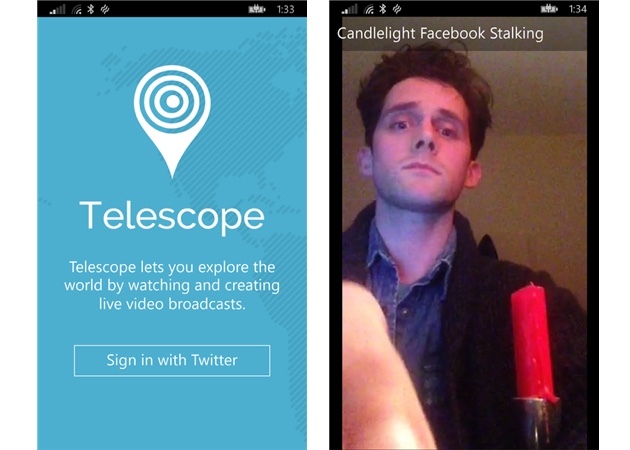 Enter Telescope, a third-party Periscope app for Windows Phone, which opens up the service's live streams to an entirely new audience. You can't actually broadcast your own streams from the app yet (the developer says it's coming), but you can sign up for Periscope and view other live feeds from within the app. It's not a complete solution, but it's something until Twitter rolls out an official Windows Phone client. Expect to wait a while though -- even Twitter's own microblogging app for Windows Phone is still miles behind its iPhone and Android entries. Both Twitter and Meerkat say they're also working on Android apps, but Telescope makes Windows Phone the first platform outside of iOS to get one of those live streaming apps. When the UK's Members of Parliament get down to work following the election in May, they'll have more than just a new government on their hands -- they'll have a tablet, too. The Parliamentary tech team is handing out cellular-equipped iPad Air 2units to all 650 House of Commons MPs so that they have a secure way to do business wherever they are. While 209 of them already had iPads, this move makes them standard issue. 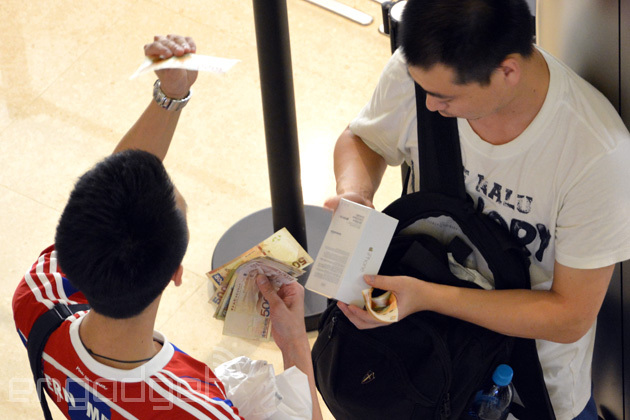 Thanks to the consistently high local demand, the iPhone resell business is rather lucrative in China, to the point where even the company who actually manufactures the devices wants in as well. According to Bloomberg, Apple is about to launch an iPhone trade-in program in China (we're surprised that it's taken this long, to be honest), but it'll be Foxconn on the receiving end. Basically, the OEM giant will buy the used iPhones directly, before refurbishing and then reselling them on its own online stores plus Taobao, China's popular eBay-like platform. Bloomberg's source added that the chain may extend to physical stores as well. An anonymous reader writes:UI designer Eli Schiff has posted an article about the "climate of fear" surrounding Apple in the software development community. He points out how developers who express criticism in an informal setting often recant when their words are being recorded, and how even moderate public criticism is often prefaced by flattery and endorsements. Beyond that, the industry has learned that they can't rely on Apple's walled garden to make a profit. The opaque app review process, the race to the bottom on pricing, and Apple's resistance to curation of the App Store are driving "independent app developers into larger organizations and venture-backed startups." 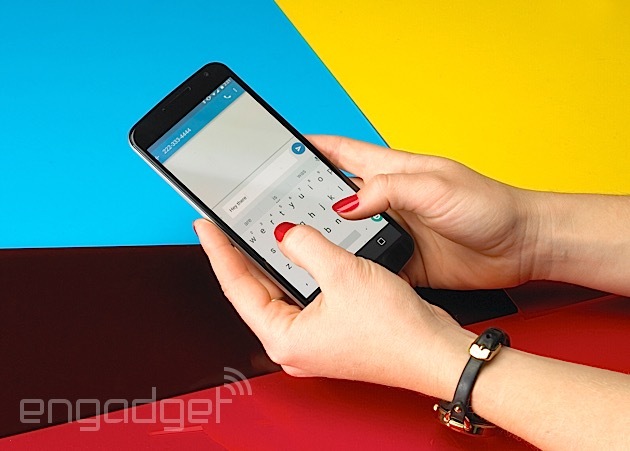 Apple is also known to cut contact with developers if they release for Android first. The "climate of fear" even affects journalists, who face not only stonewalling from Apple after negative reporting, but also a brigade of Apple fans and even other journalists trying to paint them as anti-Apple. As Apple stores are prepping for the launch of Apple Watch, its store staff are swatting up on their fashion trends as well as device specs. To assist in sales of the wearable device, which merges fashion with technology, retail staff are to offer personal fashion and styling advice to help customers find the best type of strap for them, reports 9to5mac (image source for the below). Shoppers will be advised based on how they dress as well as their lifestyle. The guidelines that Apple has offered for giving such advice as a novice consists of making comments about why an option is a good choice as opposed to a bad one, and using accessories already owned by the customer to base the advice on. It also suggests they don’t focus on price as a reason to recommend an option, because the customer will spend more on a product that’ll make them feel good. Apple allegedly expects its customers to say “I love how it will coordinate with many of my outfits," "I’m sure I’ll have this for years" and "I think I can afford that". In other news, fake Apple Store employees from YouTube channel Nelkfilmz recently took to the shop floor, attempting to convince customers to pick Microsoft or Samsung in favour of an iPhone. Nothing confronts you with how addicted you are to your phone more than constantly taking it out of your pocket and entering your passcode over and over again to unlock. But without fanfare, Google is releasing an Android update that might solve the problem: a "smart lock" that can figure out if your phone has been set down since the last time you unlocked it. As long as it stays on your person, you won't need to re-enter your password. Smartphones will make up the 'overwhelming majority' of smart connected device shipments (77.8 per cent) ahead of PCs (11.6 per cent) and tablets (10.7 per cent) by 2019, predicts IDC. The analyst firm has put out a new forecast report, its Worldwide Quarterly Smart Connected Device Tracker, which states that the combined total market of smartphones, tablets, plus 2-in-1s and PCs, is set to grow from 1.8 billion units in 2014 to 2.5 billion units in 2019. During that time, IDC expects smartphones will grow to represent the overwhelming majority of total smart connected device (SCD) shipments, dwarfing both tablets and PCs in terms of shipment volumes. In 2010, PCs still made up the lion's share of the total device market, with the combined desktop and notebook categories accounting for about 52.5 per cent of shipments versus 44.7 per cent for smartphones and 2.8 per cent for tablets. By 2014, however, smartphones had grown to represent 73.4 per cent of total shipments, while PCs had slipped to 16.8 per cent and tablets had increased to 12.5 per cent. 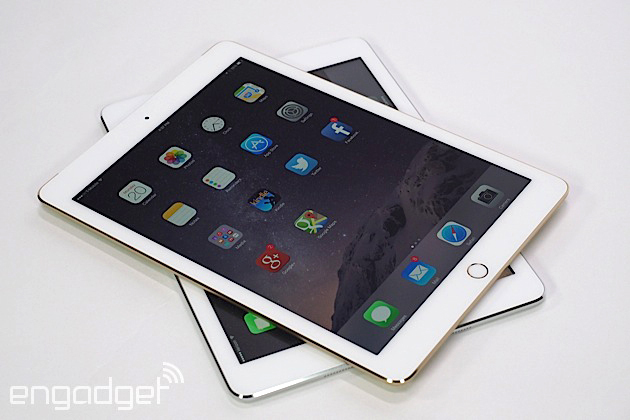 By 2019, IDC expects the distribution to be 77.8 per cent smartphones, 11.6 per cent PCs, and 10.7 per cent tablets. "Smartphone growth continues at an astounding pace, while growth in the PC and tablet markets is proving to be more challenging," said Tom Mainelli, Program Vice President for Devices at IDC. "There are clearly some bright spots in both markets: Detachable 2-in-1s show strong growth potential in tablets, and convertible notebooks are beginning to gain traction in PCs. But ultimately, for more people in more places, the smartphone is the clear choice in terms of owning one connected device. "Even as we expect slowing smartphone growth later in the forecast, it's hard to overlook the dominant position smartphones play in the greater device ecosystem. 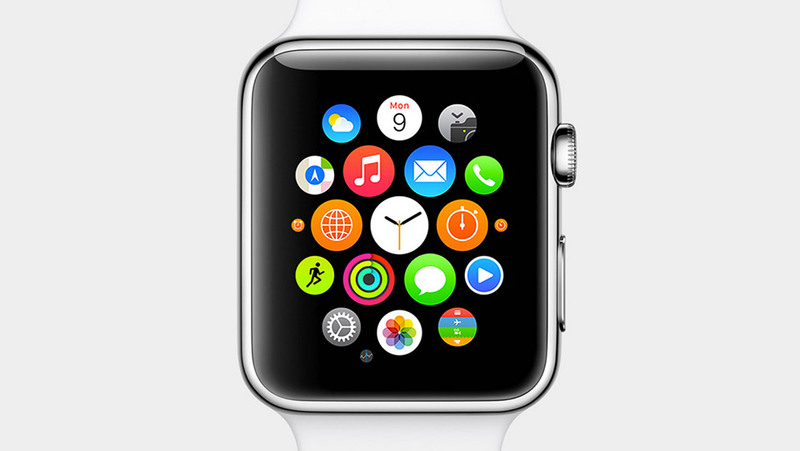 And it's not likely that anything—including wearables—will unseat it from this dominant position anytime soon." Melissa Chau, Senior Research Manager for Mobile Devices, added that not all smartphone growth will be equal. 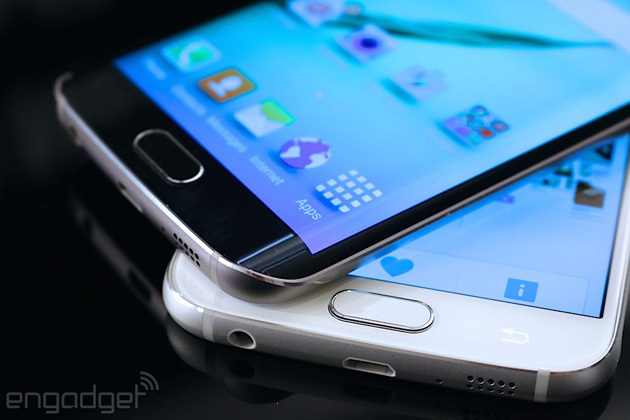 "Going forward, the future of smartphones lies in emerging markets, sub-$100 price points, and phablets," she said. "In 2014, 73 per cent of smartphones were shipped to emerging markets, 21 per cent were priced below $100, and 12 per cent had screen sizes between 5.5 inches and less than seven inches. "By 2019, these categories will all increase – 80 per cent of smartphones will be shipped to emerging markets, 35 per cent will be priced below $100, and 32 per cent will have a screen size of between 5.5 and seven inches. So far the market has very much focused on premium models and brands, but emerging market consumers are looking for greater value from a single device." It's no secret that Samsung scaled back on bloatware with the Galaxy S6, reducing the clutter and hopefully giving you a leaner, meaner smartphone. 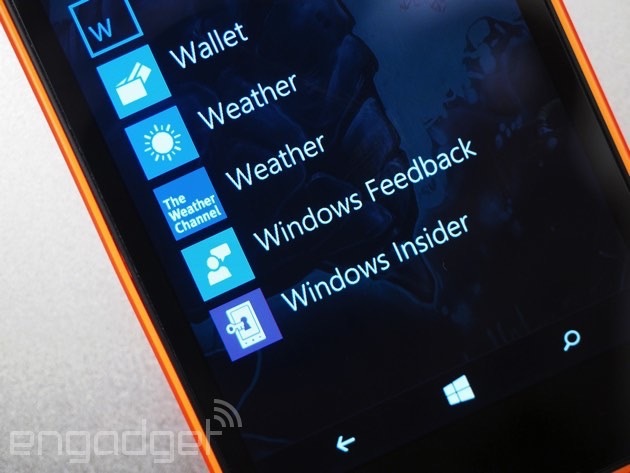 However, there's one more treat in store: you can cull many of the apps that are included, too. XDA forum member Jeshter2000 has noticed that a pre-release Galaxy S6 edge lets him disable or uninstall many of the preloaded programs, including some of those from Google and Samsung. If you'd rather ditch S Voice entirely and rely solely on Google's (frankly superior) native voice commands, you can. So long as this carries through to the GS6 you buy in stores, it'll represent a big change of heart for Samsung -- the company is notorious for bundling redundant, non-removable apps, but it's now determined to give you much more control. 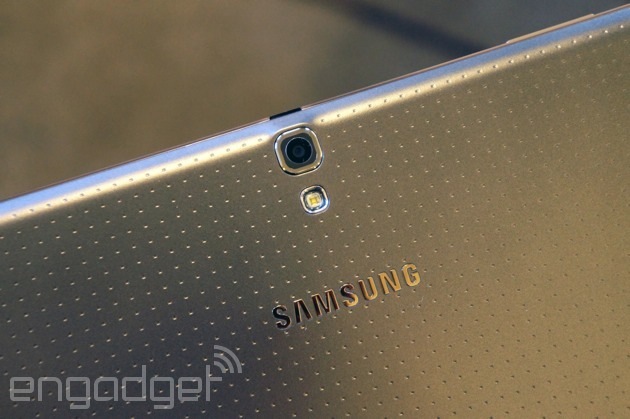 Only a few weeks after Samsung revealed it's preinstalling Microsoft's apps on the upcoming Galaxy S6 and S6 Edge, the two companies are getting even closer.Microsoft just announced that Samsung will also be bundling its Office apps, Skype, and OneDrive on select Android tablets sometime in the first half of the year. And when it comes to tablets Samsung sells to businesses, the Microsoft apps will also work together with its Knox security offering, which makes devices more secure and lets you switch between personal and professional profiles. That's what you call synergy, folks. Microsoft's been struggling to make a dent in the mobile market with Windows Phone, so it makes sense for it to team up with the biggest player on the largest mobile platform to promote its services. And of course, the integration with Microsoft's apps -- especially Office -- makes Samsung's wares a worthier option for businesses. Facebook isn't done trying to replace your Android phone's software just becauseHome fizzled out. 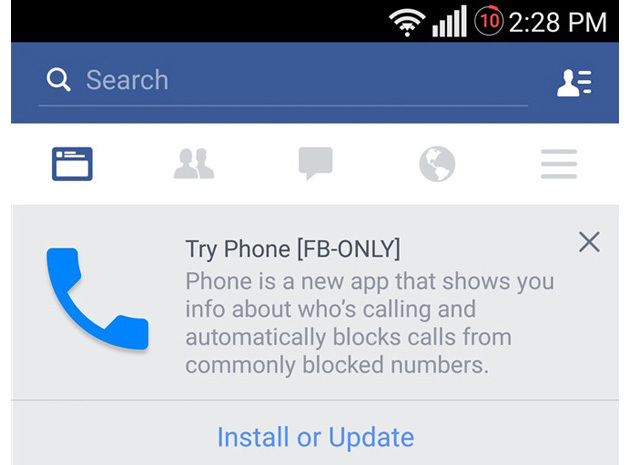 Android Police tipsters have spotted the social network testing a dialer app that would not only show more info about who's calling, but stop calls from "commonly blocked numbers." In theory, this would prevent telemarketers and technical support scams from getting through even when you don't recognize their digits. It's not clear if or when this dialer will ever see the light of day -- these kinds of tests happen all the time. If it launches, though, it could be one of the few standalone Facebook apps that you actually want to use. If you're frustrated that your smartphone locks while it's still in your hands, Google may soon come to your rescue. A handful of Android Police readers report that theirLollipop-equipped phones' Smart Lock security now includes "on-body detection," a motion-sensitive feature that keeps your Android device unlocked so long as it's either in-hand or in your pocket. This isn't completely secure (a pickpocket could have a field day), but you don't have to worry about someone snooping on your personal info just because you left your handset on the table for a hot minute. Just when you'll get this option isn't certain, though. Google is slowly rolling out body detection to users through Google Play Services, not software updates, so you might not know it's available until you dig through the settings at the right time. 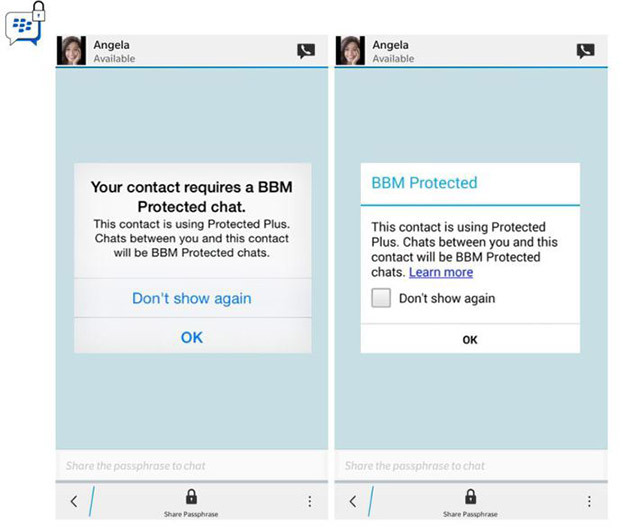 While BBM Protected has been keeping enterprise users' chats secure since last year, it only used to work if it's installed on both parties' phones. Now, though, the feature can keep convos secure even if only one of the chatters has it. In fact, the other person doesn't even have to be a BlackBerry user: Protected now works even on iOS and Android devices. Considering you can't exactly force, say, clients to ditch their iPhones, Samsungs and HTCs, among other brands that carry Android, this is definitely good news. Those who absolutely have to chat through secure methods only need to start a Protected convo, and the message above will appear so long as the other person has the BBM app. Hopefully, company execs can stop worrying about employees unknowingly leaking sensitive info by using unprotected apps. Unless, of course, they're the ones being reckless.